The year is gone, finished, past. We cannot reclaim it or undo it. We cannot rest on the great distance it has brought us. If tomorrow dawns, it will be another day, a new opportunity, and the time to show our faith in Jesus as Lord. Let's journey forward, knowing that God already inhabits the future and promises to provide us refreshment on our journey there. 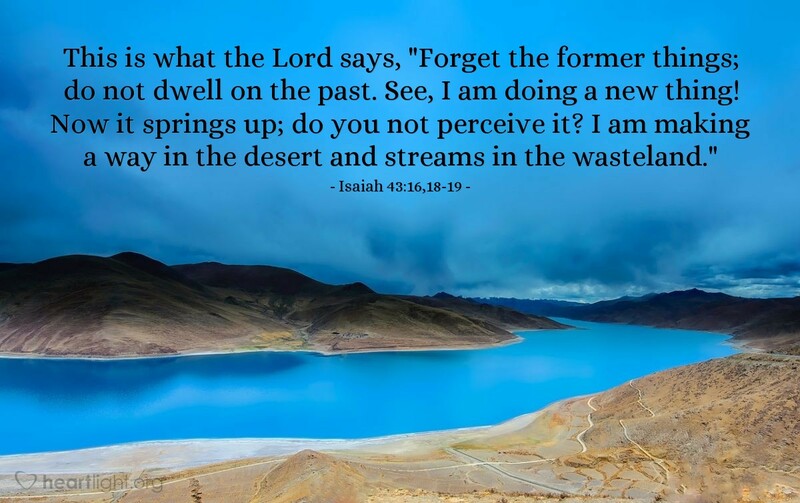 Lord of all eternity, please help me to learn from my mistakes this past year, but not to dwell on them. Please help me not rest on my accomplishments in this past year, but use them to further your work in me and through me. Please help me not quarrel with those who injured me yesterday, last month, or this past year. Instead, O Father, lead me in your paths and help me see your mighty works this next year. In Jesus' name and by his power I ask it. Amen.